The Carter G. Woodson African American Museum was packed Friday morning with politicians, concerned community members, media and displaced residents affected by the controversy that has ignited around the Historic Village of Jordan Park. The morning’s press conference, called by St. Pete City Council Chair Lisa Wheeler Bowman, brought major city players together to rally the community and demand change from the St. Pete Housing Authority (SPHA). Thursday evening at St. Petersburg City Hall, the St. Petersburg City Council pushed ahead an ordinance amending the definitions of active park uses and passive park uses. The ordinance arose from discussions about the proposed Janet Echelman sculpture at Spa Beach Park. If changes to the definition of a “passive park” are approved, Spa Beach Park – a passive park – would be able to accommodate the sculpture (and other public art). Sandwiched as we are between the Fourth of July and Labor Day, there aren’t any holidays on the immediate horizon. What to do this weekend? For those of us who eschew short days with a big crowd on a busy beach, and would rather not spent $800 at the movies, the performing arts offer some pretty impressive alternatives. Here’s what’s going on in St. Pete. "Market Mafia promotes "local living made easy." We hope to be an inclusive resource for market organizers to get the word out about their events, assist visitors to find upcoming community events to attend, and support vendors find new opportunities to get their brand out!" TeamViewer offers the best in collaborative software to companies and universities the world over. Since 2005, TeamViewer (based in Largo) has provided the very best in computer-access software to numeorus clients across the globe. Can Florida’s Toxic Algae Be Stopped? How can social enterprises compete in markets that aren’t focused on impact? Corporate partnerships can help. 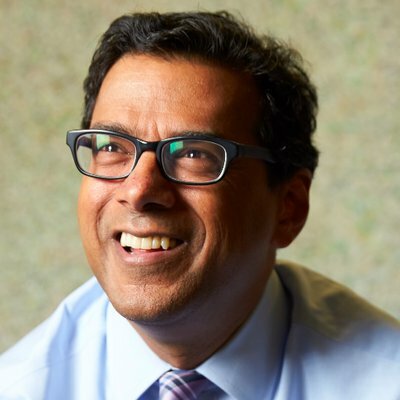 What happens when you have sample size nearly half that of a European nation, the nimbleness of capitalism, and a CEO like Gawande? When the company is unconcerned with profit and under the influence of Bezos, who finds “opportunity” by eliminating competitors’ profits?